I am using the newest version of firefox. The first room is no problem at all. The problem only occur when I draw the next. The dimension of the room will change, why? for example, i draw a 12’ X 20’ bedroom. 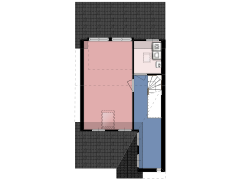 Then i draw a toilet inside the bedroom 5′ × 7′. Here comes the problem, the initial bedroom size will change to wield size. Maybe 12’2" ? Why would this happen? I will never get an accurate dimension. Hi, thanks for the feedback, We are aware of this problem and are working on a solution. It has to do with rounding of dimensions which doesn’t work 100% yet. This might answer my issue too. So which dimension is correct? The original one or the new one showing?